Safari, M., Joudaki, J., Emadi, M. (2018). Surface Quality in Dry Machining of 55Cr3 Steel Bars. International Journal of Iron & Steel Society of Iran, 15(1), 33-39. M. Safari; J. Joudaki; M. Emadi. "Surface Quality in Dry Machining of 55Cr3 Steel Bars". 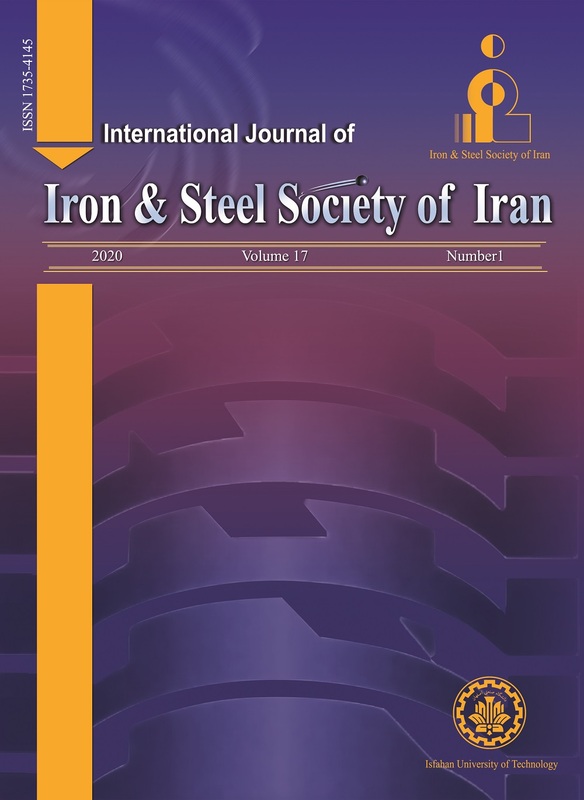 International Journal of Iron & Steel Society of Iran, 15, 1, 2018, 33-39. Safari, M., Joudaki, J., Emadi, M. (2018). 'Surface Quality in Dry Machining of 55Cr3 Steel Bars', International Journal of Iron & Steel Society of Iran, 15(1), pp. 33-39. Safari, M., Joudaki, J., Emadi, M. Surface Quality in Dry Machining of 55Cr3 Steel Bars. International Journal of Iron & Steel Society of Iran, 2018; 15(1): 33-39. Lubricant and coolant can improve surface roughness in machining. In addition of ecological harms, thermal shock of coolant or lubricant may affect the surface integrity especially on surface residual stresses and micro-crack nucleation. Dry machining is ecologically desirable and it is considered as a necessity for manufacturing enterprises in the recent years. 55Cr3 steel grade is steel with high strength and very poor machinability. Therefore dry machining can provide good surface qualities in turning process of 55Cr3 steel bars. In this article, the effects of turning parameters (spindle speed, feed and depth of cut) on surface roughness variation will be investigated. The surface roughness was measured in straight turning and face turning processes. The Taguchi method was implemented for experiments designing and analyzing the measurements. The results showed that in order to obtain an optimum condition for dry turning of 55Cr3 steel bars, Ra, Rq, Rt, RSm and RSk should be analyzed simultaneously. S. Atlati, A. Moufki, M. Nouari and B. Haddag: Tribol. Int., 105(2017), 326. C. Ramirez, A. Idhil Ismail, C. Gendarme, M. Dehmas, E. Aeby-Gautier, G. Poulachon and F. Rossi: Wear., 390(2017), 61. R. Furushima, K. Shimojima, H. Hosokawa and A. Matsumoto: Wear., 374(2017), 104. S. J. Raykar, D. M. D’Addona, D. Kramar: Procedia Mater. Sci., 6(2014), 931. B. Chetan, C. Behera, S. Ghosh and P.V. Rao: Ceram. Int., 42(2016), 14873. A. Bordin, S. Sartori, S. Bruschi and A. Ghiotti: J. Clean. Prod., 142(2017), 4142. D. Umbrello, A. Bordin, S. Imbrogno, S. Bruschi: CIRP J. Manuf. Sci., Techn., 18(2017), 92. A. Thakur, S. Gangopadhyay: J. Clean. Prod.,129(2016), 256. G. D. Revankar, R. Shetty, S. S. Rao and V. N. Gaitonde, Mater. Res., 17(2014), 1010. J. Sharma, B. Singh Sidhu: J. Clean. Prod., 66(2014), 619. B. Haddag and M. Nouari: Wear., 302(2013), 1158. M. P. Jahan, A. P. Malshe and K. P. Rajurkar: J. Manuf. Proc., 14(2012), 443. A. Devillez, C. G. Le, S. Dominiak and D. Dudzinski: Wear, 262(2007), 931. A. Nayar: The metals databook, Tata McGraw Hill, New delhi, (2008), 162.